Calmly cruising down a river is just not the Kiwi way. In the 1950s, Bill Hamilton attached a jet engine to a boat and invented the thrilling watersport of jet boating, which involves speeding down narrow rivers with sharp turns and doing 360° spins. Today, jet boating is a must-do for people travelling in New Zealand. 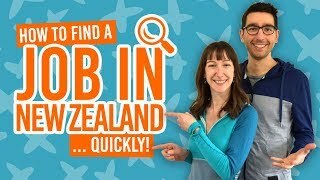 But where can you jet boat in New Zealand? Whether its a quick spin for thrills in Queenstown or a full-day excursion to discover New Zealand’s most stunning rivers, a jet boat is certainly a way to travel in style. (Plus, we never get sick of those 360 spins)! So check out the list below to see where you can hop in a jet boat and have a thrill ride in New Zealand! With canyon walls jutting on either side, Shotover Jet squeezes down the Shotover River. Expect quick manoeuvres with 360° spins on this adventure water activity just outside of Queenstown. For more thrills in Queenstown, check out 10 Queenstown Must-Dos. Combine narrow canyons with rapids and you have Rapids Jet. It’s hard to decide which is more fun, pushing through the rapids on the way upstream or surfing them on the way back down? Rapids Jet is just outside of Taupo. Check out what else there is to do in Taupo in Taupo – Guide for Backpackers. Mix a thrilling jet boat ride down the Waikato River with a geothermal experience. Either mix your jet boat ride with a visit to Orakei Korako Geothermal Park or put on a wetsuit and delve down The Squeeze to find a hidden hot spring and waterfall! Trips with NZ River Jet between Rotorua and Taupo. Waiaurahiri Jet is a unique all-day jet boating experience from the stunning Lake Hauroko, 27km down the grade 3 rapids of the Waiaurahiri River all the way to the sea. It’s certainly a thrilling way to see the World Heritage Site of Fiordland National Park. Unfortunately, you do not go down the mammoth rapids that make up Huka Falls (can you imagine?!). Huka Falls Jet takes you to the safer base of Huka Falls. Hukafalls Jet departs just outside of Taupo. If you find yourself in Glenorchy, otherwise known as The Lord of the Rings country, take a trip on the Wilderness Jet down Dart River. It takes you through the stunning Mt Aspiring National Park. Discover the stunning Whanganui River by jet boat. The jet boat is a popular way to get to many of the hikes in the Whanganui National Park, as well as transport from the beginning or end of the Whanganui Journey Great Walk. Discover the Akaroa Harbour by jet boat! It’s a fast and furious way to see the breathtaking coastline, along with its caves and archways, in Akaroa. Don’t worry, there are plenty of 360 spins to be had too! 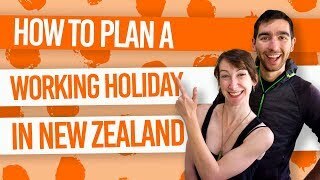 Find out more in Akaroa – Guide for Backpackers. Blast along the vibrant blue waters of the Rakaia River in the Canterbury region. The scenery is sensational with steep river gorges. Jet boat one way and hike back along the Rakaia River Track. This trip departing from Queenstown is partly about the thrilling jet boat ride, but also about the adrenaline-pumping drive through Skippers Canyon! It’s an awesome way to experience one of New Zealand’s most dangerous roads with a fast and furious jet boat ride on the Skippers Canyon Jet at the end! Easily the fastest jet boat experience in New Zealand, the Oxbow Jet in Wanaka is all about experiencing the G-force! Get some serious speed on their jet sprint lake. A jet boat journey taking you from where the Waitoto River meets the Tasman sea all the way into the mountainous regions of the Mt Aspiring National Park. Learn about the history, culture and the land of the wild West Coast of the South Island. Check out the Waiototo Jet here. From Taumarunui, venture down the Whanganui River and into the Whanganui National Park with Forgotten World Jet! Another awesome fast-paced trip into the stunning North Island wilderness. At the Goldfields Mining Centre between Cromwell and Queenstown, take the awesome Goldfields Jet down the narrow Kawarau River! Learn about the stories and history of this old gold-mining area along the way. Departing from Queenstown’s main town pier, KJet takes you under the Kawarau Falls Dam and over the Shotover River. This 35min ride takes you along Auckland’s Waitemata Harbour. It is certainly a fast-paced way to appreciate Auckland’s skyline from the ocean. Check out Auckland Adventure Jet here.